Separate power supply not shown. 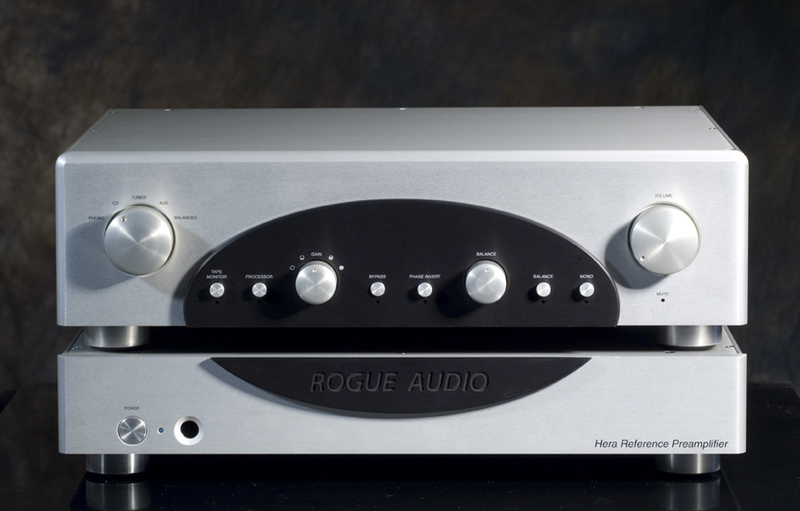 After more than three years of research and development, Rogue Audio proudly introduces the Hera reference preamplifier. The Hera’s innovative and proprietary circuitry utilizes eight of the Russian military’s 6H30P tubes in a balanced design that stretches the bounds of modern preamplifier technology. 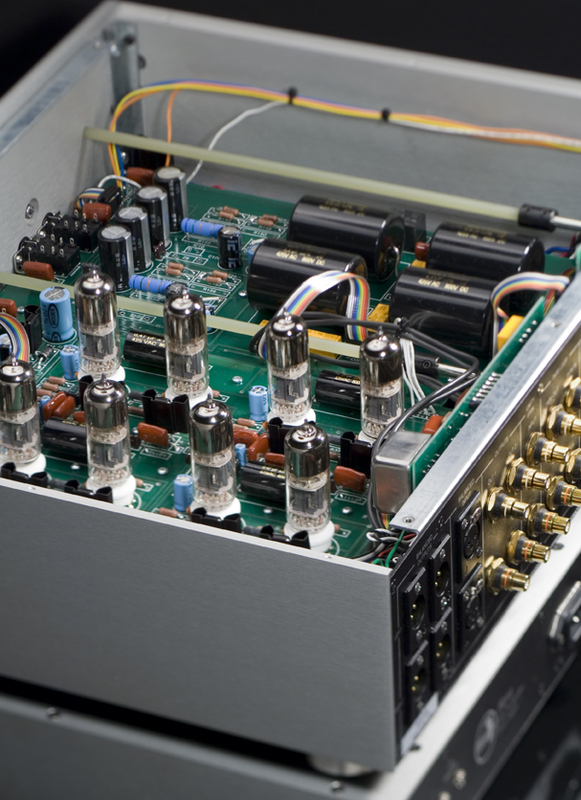 And that technology translates into amazing detail, smoothness and refinement which has effectively redefined the level of performance that can be expected from a reference caliber preamplifier. . The Hera is feature rich yet sacrifices nothing to sonic integrity. Many of today’s high end designers make extensive use of microprocessors and the digital domain to support features that ultimately detract from the audio performance -- At Rogue Audio we eschew such technology. Every aspect of the Hera's design is aimed at maintaining near perfect signal integrity. To that end, we have designed a stepped attenuator that uses purely resistive elements to derive more than 120 individual volume steps. The switch itself is proprietary and manufactured in Switzerland specifically for Rogue Audio. A miniature slipper clutch (much like those used in racing vehicles) connects the massive attenuator to a motor that can then be remotely controlled. All functional switching is done via heavy duty silver switches rather than being routed through a silicon chip. Capacitors, resistors and all other critical parts are of the highest quality as well. The two box chassis itself is a fully machined work of industrial art that provides the electrical isolation necessary for the incredibly low noise floor of the Hera. The ultra-sophisticated design also includes a phase invert button, balance bypass, processor loop, unity gain bypass and a host of other features. Our driving design goal for the Hera was to set a new benchmark in vacuum tube preamplifier technology - we believe we have succeeded. �Copyright 2007 Rogue Audio, Inc.